In the old days, buying something on credit was a last resort. In modern times, though, many of us depend on credit to purchase a new home or car. Employers may also use a person’s credit score when they screen potential candidates. You hear about the importance of your credit score all the time, but do you really know what it is? Here are frequently asked questions to help you better understand your credit score. Also known as your credit rating, a credit score is a 3-digit numerical representation of your creditworthiness. In other words, a credit score ranks an individual’s likelihood of paying back the money they borrow. 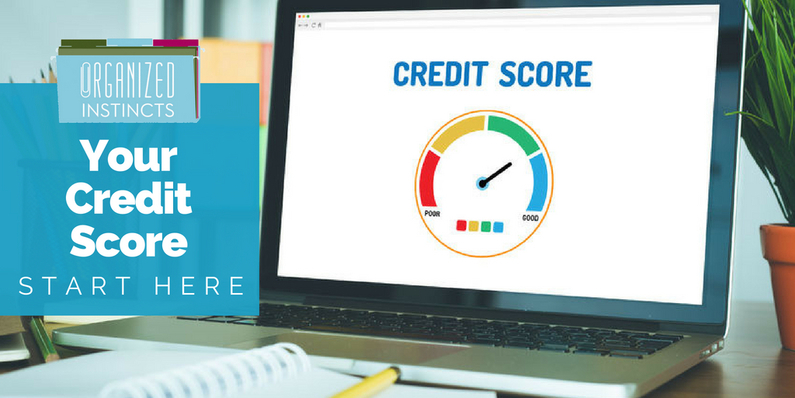 A credit score can range from 300 (very high risk for the creditor) to 850 (very low risk for the creditor) – a score of 700 or higher is considered a good credit rating. The term FICO score is often used interchangeably with credit score. FICO stands for Fair Isaac Corporation, the company that created the software used to calculate credit scores. FICO scores are used primarily by lenders. This credit score uses a special algorithm, a highly guarded trade secret, and no one really knows exactly how it works. We do know its relies on five categories of data: payment history, credit history, amounts owed, new credits, and credit mix. Learn more at myFICO. A credit report is like a report card with your credit history. A credit score is a numeric value which will indicate how much credit will cost you. Both your credit score and your credit report are available at all the major credit bureaus. Typically, yes, you will have to pay a small fee to obtain your credit rating. Learn more at “Where can I get my credit score?” published by the Consumer Financial Protection Bureau. Read the small print! You received notification from your credit card company (or another creditor) that your account now includes access to your credit score as a benefit of their services. That’s good news, but you must read the small print. Some credit card companies offer the first credit report free, then tack on hidden monthly costs. Remember to review your statement every month to avoid these sneaky charges. No. In fact, it’s a federal mandate that you receive one FREE credit report every year. By Phone: Call 1-877-322-8228. Access the TTY service by calling 711 and referring the Relay Operator to 1-800-821-7232. Beware! Many of those ads you see on TV for a free credit report (and you probably receive unsoliticited offers through email, too) are NOT free. Chances are, at best, their report will include a recurring charge or subscription-type service, but they could also be phishing for your personal information in an attempt to steal your identity. What if I don’t use credit, do I still need my credit report? Yes! In situations where you’ve been able to save up the cash prior to a purchase or you simply haven’t had a need to use credit yet in your life, it’s still important to obtain your free yearly credit report and review it for accuracy. This will protect you against any unauthorized activity and errors – and errors happen every day! There are also times when your credit report is used as an added security measure during new account setup. For example, when you open a new bank account online, you could be asked to answer multiple-choice questions based off your most recent credit report, questions like the street address nearest your last known address. Another example is when you open an account at my Social Security, which prevents unauthorized accounts from being created by someone other than you. It’s important to have three reports handy because the SSA account setup process will require validating information from your credit report like the name of a loan institution. Bonus: Have you started receiving your Social Security Statement? Another benefit to opening your my Social Security account is you will receive instant access to your statement rather than receive it through the mail. This allows you to spot errors quicker and it protects your personal information from identity theft. Your credit score could determine whether or not you get the financing needed to buy your dream home. It could even impact your career opportunities. Know your credit score. Get your free credit report every year and review it carefully for accuracy. And use your free reports to protect your identity when opening a new account online, like when you claim your my Social Security account. Tune in next time when we discuss how your credit score affects what you pay for credit.